November 11 this year is the 100th anniversary of the end of World War 1 with many events planned worldwide to remember and reflect upon the occasion. 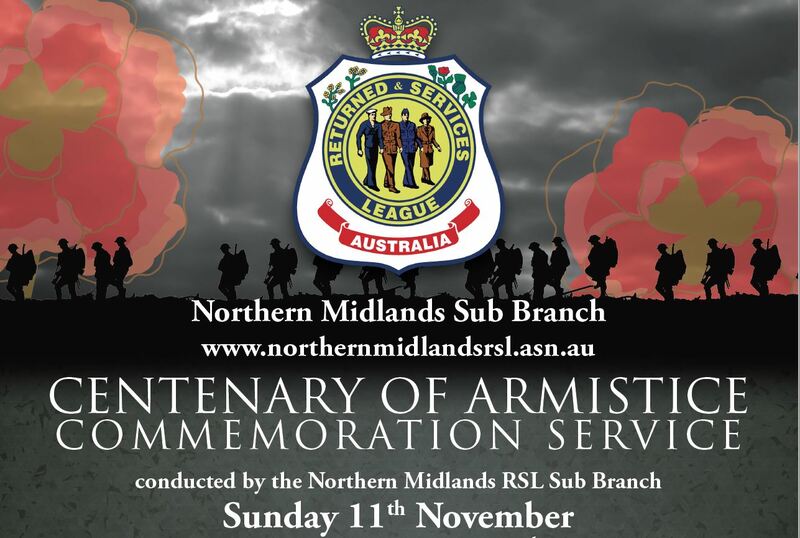 City Park Radio is heavily involved locally with the Centenary of Armistice in November in partnership with the Northern Midlands RSLA sub branch. 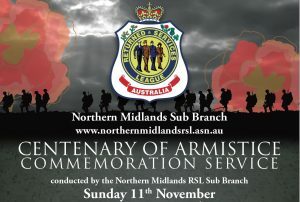 They have organised BBQ’s, Concerts, a dinner and a remembrance service to mark the occasion. Sunday 11th November, City Park Radio will broadcast the service from the Longford Cenotaph live locally and and provide the audio live nationwide for Community Radio Network stations to take as well. The service is timed to begin at 10.45am with the Governor of Tasmania, United States Marines and other dignatories attending. It has been a long time in planning and City Park Radio is proud to part of the community. Special thanks to our member Brian Watson whose idea it was the get these RSLA events off the ground and to include City Park Radio in the mix as well. Great work Brian. There was a large attendance at the 2018 Annual General Meeting held 25th August at the Royal Oak Hotel. Notable attendees included our Patron The Hon Don Wing, Ross Hart MP, Rosemary Armitage MLC, Mayor Albert van Zetten, and Alderman Janie Finlay. 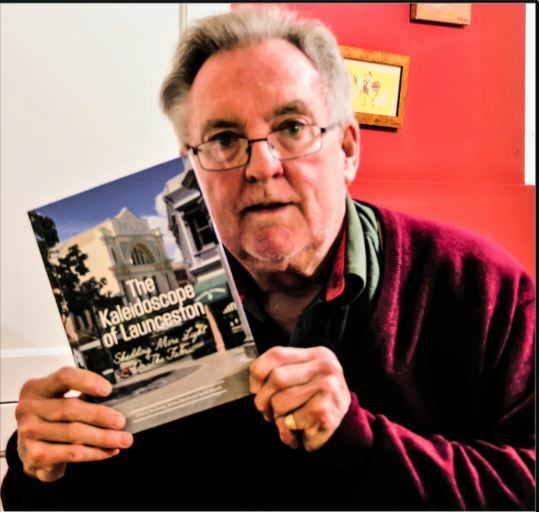 All congratulated City Park Radio and its volunteers for the wonderful role it plays in the community fabric of Launceston and the pleasure it brings to its listeners. Mr Wing also graciously accepted our request to remain as patron. Another highlight of the meeting was the awarding of a very well deserved life membership to Noel Broomhall. As well, the proposed changes to our Constitution as detailed in the last newsletter were approved. As there were insufficient valid nominations for the meeting, there remained two casual vacancies for which expressions of interest were called for. We then received two expressions of interest. …. on September 15, the Management Committee invited Elizabeth Walters and Bruce Webb to fill the two remaining casual vacancies. 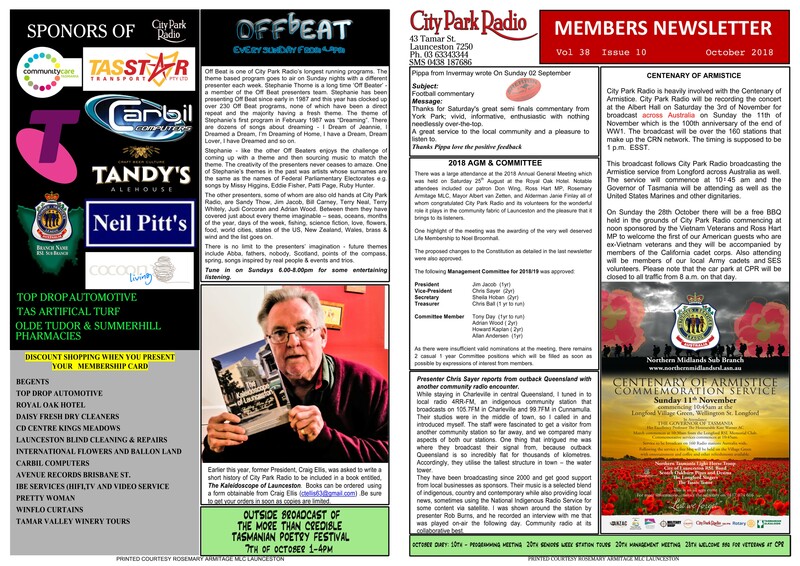 Off Beat is one of City Park Radio’s longest running programs. The theme based program goes to air on Sunday nights with a different presenter each week. Stephanie Thorne has been presenting Off Beat since 1987 and this year clocked up over 230 Off Beat programs, none of which have been a direct repeat and the majority having a fresh theme. The theme of Stephanie’s first program in February was songs about dreaming – I dream of Jeannie, I dreamed a Dream, I’m Dreaming of Home, I have a Dream, Dream Lover, I have dreamed and so on…..
Stephanie, like other Offbeaters enjoys the challenge of coming up with a theme and then sourcing music to match that theme. The creativity of the presenters ceases to amaze. 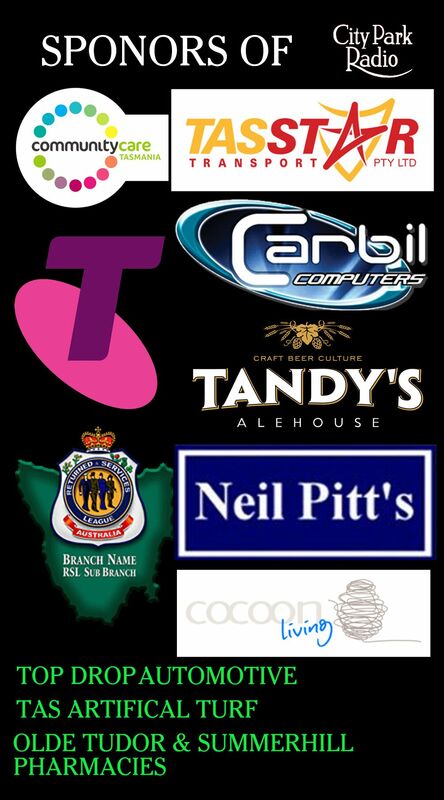 One of Stephanie’s themes in the past was artists whose surnames are the same as the names of Federal Parliament electorates e.g. songs by Missy Higgins, Eddie Fisher, Patti Page, Ruby Hunter. The other presenters, some of whom are also old hands at City Park Radio, are Sandy Thow, Jim Jacob, Bill Carney, Terry Neal, Terry Whiteley, Judi Corcoran, and Adrian Wood. Between them they have covered just about every theme imaginable – seas, oceans, months of the year, days of the week, fishing, science fiction, love, flowers, food, world cities, states of the US, New Zealand, Wales, brass & wind and the lsit goes on. There is no limit to the presenters’ imagination – future themes include ABBA, fathers, nobody, Scotland, points of the compass, spring, songs inspired by real people and events and trios. Tune in Sundays 6.00-8.00pm for some entertaining listening. Thanks for Saturday’s great semi finals commentary from York Park; vivid,informative, enthusiastic, and nothing needlessly over-the-top. A great service to the local community and a pleasure to listen to. The program is always repeated the following Friday at 4pm. You need to order soon as there is only a limited number of copies. Presenter Chris Sayer reports from Outback Queensland about a close encounter with another community radio mob. 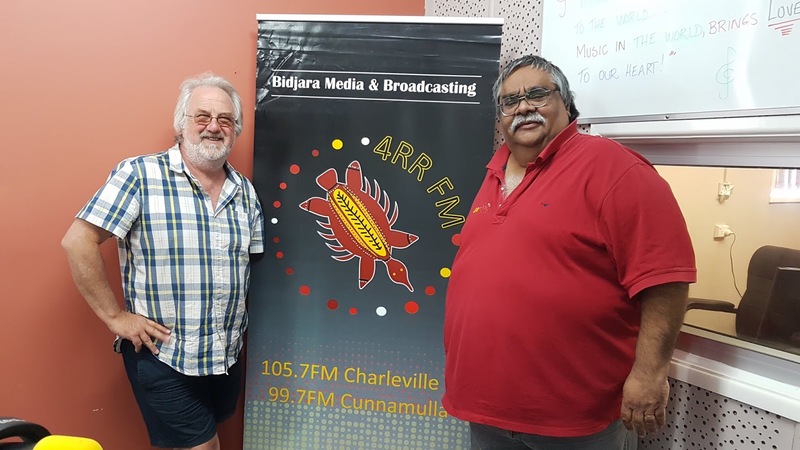 While staying in Charleville in central Queensland, I tuned into local radio 4RR-FM, an indigenous community station that broadcasts on 105.7FM in Charleville and 99.7FM in Cunnamulla. Their studios were in the middle of town so I called in and introduced myself. The staff were fascinated to get a visitor from another community station so far away, and we compared many aspects of both stations. One thing that intrigued me was where they broadcast their signal from, because Outback Queensland is incredibly flat for thousands of kilometres. Accordingly, they use the tallest structure in town – the water tower. 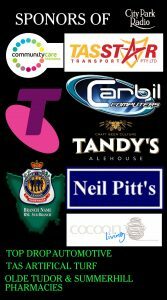 They have been broadcasting since 2000 and get good support from locals businesses as sponsors. Their music is a selected blend of indigenous, country and contemporary while also providing local news, sometimes using the National Indigenous Radio News Service for some content via satellite. I was shown around the station by presenter Rob Burns, and he recorded an interview with me that was played on air the following day. Community Radio at its collaborative best. Re the concert at Albert Hall, 3 November 2018. Is it open to Members of CPR to attend, or will it be held behind closed doors? With two special concerts (1:30 pm matinée and 7:30 pm evening performances in Launceston, Tasmania on Saturday, November 3 in the majestic Albert Hall, artists from across Tasmania as well as a special guest from New Zealand will gather to perform at the Centenary of Armistice Remembrance Concert. The event will be an enjoyable event for young and old, and we welcome everyone to join with us in this special event. TWO SHOWS ONLY – 1:30 pm and 7:30 pm.